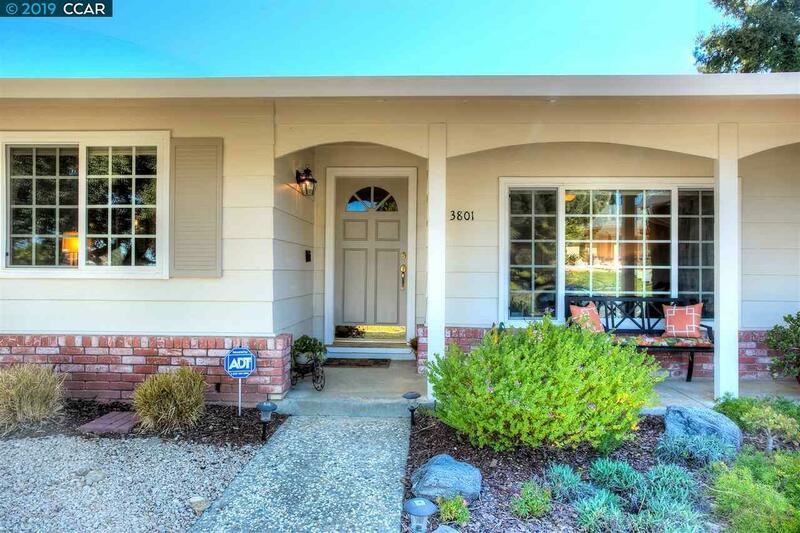 Nestled in the desirable Woodland Hills in Pittsburg, California this stunning single story home is situated on a corner lot in a quiet cul-de-sac. Whether you are enjoying the hillside views from inside this home or enjoying the serenity of the spacious, beautifully landscaped, private backyard, you will welcome the lush landscape with towering trees as it transport you to a place of peace. The home features 3 bedrooms, 2 beautifully updated bathrooms, and an easy floor plan. With detailing that includes low maintenance tile and wood flooring, granite counters, decorative mosaic tile work, stainless steel appliances and beautiful cherry-stained cabinetry you will be captivated with the warmth and coziness that you feel immediately when you enter 3801 Malibu Place. Conveniently located, near parks, trails, shopping centers, schools, freeway access and BART. This could be your forever home. I invite you to come and see for yourself.